Coral Springs, Florida used to be called the city in the Country. It is now a hustling and bustling city with over 140,000 people with a medium age of 40. The city of Coral Springs Florida used to be the bedroom community for Fort Lauderdale and in some ways still is. However the expansion of the Sawgrass Expressway hugging Coral Springs’ western & northern boundaries and the easy access to the Turnpike and I-95 highways to the middle and east of Coral Springs has widened the appeal of the city. 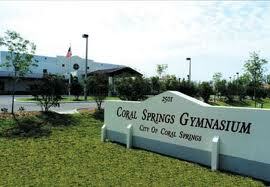 Coral Springs has a great reputation for exceptional schools, good family values and low crime, loads of parks and easy access to everything, that’s why it has attracted so many young professional families. Coral Springs, boasts excellent family neighborhoods, loads of great parks of all sizes loaded with kids of all ages including a pet park, a gymnasium, a skating rink, several community pools, charter school, and the Coral Springs Museum of Art and Cultural Center. The proximity to the city of Parkland a small city just to the north, which is also a city designed for younger families that has both a country and a city feel to it, with its equestrian area, homes on lots that start at one acre and new homes in gated communities, that have the feel of Boca Raton without the congestion. Parkland has become the most affluent community in Broward County and today can be actually called a city in the country. Both the city of Coral Spring and the the city of Parkland have always had deed restrictions which maintain the look and feel of a well planned community. 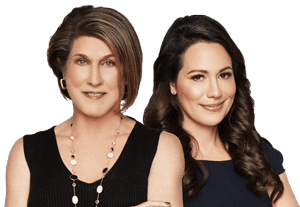 Lea Plotkin & Rubin Wites have lived and worked in the Coral Springs area as Realtors and Broker owner of Prudential Wites Realty – Now Berkshire Hathaway HomeServices for over 35 years. Coral Springs was originally designed developed and built by Coral Ridge Properties, a division of Westinghouse ,now WCI communities. Coral Springs is a planned city with schools parks hospitals museums, malls, stores, offices and total infrastructure to deal with the every day life a today’s young working adults. Coral springs is a city known for its parks, good schools and family Values. The city boasts over 145 thousand people with with one of the lowest crime rates in the country for a city its size and loads of kids. The Florida League of Cities has named the City of Coral Springs as its first-ever Florida City of Excellence winner, as announced at the Florida Cities of Excellence Awards Ceremony that was held recently in Orlando. The program is designed to focus public attention on all the good things cities do to improve the quality of life in Florida and honor outstanding city leaders and cities for their excellent, innovative and highly praised programs. The Florida City of Excellence Award recognizes overall excellence in a city government. The nominated cities were judged on a number of categories including: governance & administration, city leadership, intergovernmental cooperation, citizen outreach & involvement, technology, innovative programs & services and fiscal management. The award was given in recognition of the city’s strong governing and administrative foundation, centered on solid business practices. Coral Springs was recognized for its many accomplishments, including AAA credit ratings from all three rating agencies on Wall Street; and becoming the first repeat winner of the Governor’s Sterling Award for Performance Excellence in 1997 and again in 2003. Coral Springs has the lowest crime rate in Florida for cities with a population above 100,000. The City was also acknowledged for its commitment customer-focused business model and for providing innovative programs. The City of Coral Springs recently won two prestigious awards for keeping the trees in our town beautiful. The National Arbor Day Foundation has awarded its Tree City USA Award to Coral Springs for more than 20 years, and this year was no different. In addition to the Tree City USA award, Coral Springs also received the Growth Award, which sets much higher standards for tree care. As suburban communities go, the city is well planned. Parks were built near residences, and gasoline stations and shops are along major roadways. Traffic flows fairly easily, even though Coral Springs is one of the county’s most populous cities. Signage rules are among the strictest in the area. You will not find McDonalds Golden Arches or other signs of this type in the city. Specializing in Fort Lauderdale Real Estate, Wilton Manors Real Estate, Pompano Beach Real Estate, Lighthouse Point Real Estate, Oakland Park Real Estate, Fort Lauderdale Homes, Fort Lauderdale Properties, Fort Lauderdale Realtor, Fort Lauderdale Real Estate Agent, Fort Lauderdale, , multi-million dollar estates, foreclosure, fixer upper, property, Realtor, Realtors, for sale, sale, buy, buyers, condominiums, town homes, single family residence, view homes, duplex, duplexes, split levels, ranch style homes, single story homes, two story homes, pool homes, golf course view, ocean view, city lights view, nice neighborhood in South Florida. Our Specialty is real estate in Coral Springs, Parkland, Coconut Creek, Heron Bay, The Carolinas of Margate, Pompano Beach, Weston, Boca Raton, Plantation, Deerfield Beach, Tamarac, Lighthouse Point, Sunrise, Palm Beach &greater Ft. Lauderdale. WE HAVE REAL ESTATE INFORMATION FOR ALL OF SOUTH FLORIDA. Internet Technology is very important..you found us this way! We will find you a home or we will sell your current home using all the latest technology and internet resources. Don’t lose that home that you wanted or that home you wanted to sell because you were too late! The housing market is complicated because the inventory of homes for sale is always in flux. If it were possible to have a complete list of every home for sale at this very moment in a given community, such a list would become obsolete within seconds as new homes become available and properties now for sale are put under contract. All neighborhoods and communities have a special nature that gives them identity and value. 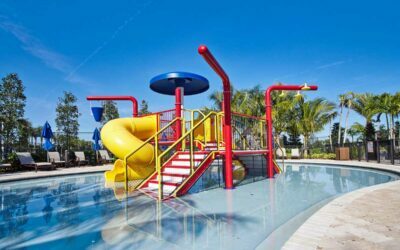 One community may be well known for historic homes while another offers both suburban living as well as easy access to downtown office areas and others for schools and kids like the city of Coral Springs Florida. Some buyers like to search the web. – use our search engine its free, by looking at listings on the basis of location or price; others prefer to have local REALTORS® suggest properties; and many buyers prefer both approaches. Welcome! If you are just starting to make plans to relocate to Coral Springs, Boca Raton, Greater Fort Lauderdale, Heron Bay, Parkland, Weston, or any of the surrounding cities, or have just arrived, or are planning to move to this area, this page will serve as a helpful guide to the area. First, a little about us. Boca Raton, Coral Springs, Greater Fort Lauderdale, Parkland & Weston, and the surrounding cities are located in the center of Florida’s Gold Coast. That’s Gold as in gorgeous weather and also economic opportunity. Here, you’ll find one of the fastest growing communities in the world. As residents of the Gold Coast, we are successful and family-oriented people who love nothing better than a day spent sailing or enjoying any one of our many recreational amenities with our friends and families. Crime is low, there’s no state tax on personal income or gifts. But enough about us. Now its time to tell you what to expect when relocating with Berkshire Hathaway Home Services Florida Realty, Rubin Wites & Lea Plotkin. What is a short sale? Very simply, a short sale is when a buyer purchases your home and negotiates with your Banks to take LESS than what you owe them. The Banks accept this short payment as “Paid in Full” and that is how the loans will look on your credit report after closing. The foreclosure proceedings stop and you will normally not owe the Banks any money at all after the house is sold. Your credit report will not show the scarlet letter of a foreclosure which can ruin your financial situation for the next 10 years! By almost any measure a completed foreclosure is the most damaging event your credit status can incur – worse than a bankruptcy. 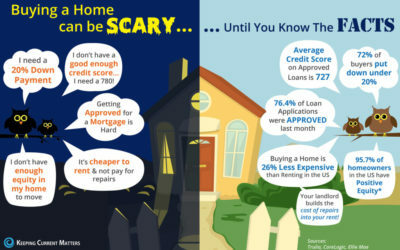 A foreclosure on your credit record will negatively impact your ability to borrow money or even rent a house for years. The key is in knowing HOW to convince the Banks this is a smart business decision. We have created a Team of experts to help you through the process so that the short sale can be accomplished in the least amount of time, with the least discomfort to you. We have accomplished this without adding additional costs to the seller or buyer. The following are what our team will do for both buyers and sellers to facilitate this process. Let us help you feel at home before you arrive. You’re going to have many questions. Let us help you get the answers. We’ll begin by sending you Relocation Information containing important facts and figures about your new home town. We’ll help you ease your mind by investigating any unique needs your family may have such as: special education child care, elder care, employment opportunities. With your permission, we’ll have a Relocation Coordinator contact you to learn about your lifestyle requirements long before you arrive for your home search. The Coordinator will select a real estate professional best suited to handle your family’s needs. visit neighborhoods and homes that fit your family’s needs. walk you through the entire closing process step by step! We always have a pool of buyers ready, willing and able to purchase homes so we can help sell your existing home to the right buyer for the best price in the shortest possible time. That’s because when other PRS members know of home buyers moving to this area, they will contact us to assist with the home search. Our fellow members specialize in helping families reestablish comfortable lifestyles as quickly as possible. Because they do, we are confident you can trust us to facilitate your family’s relocation anywhere in the country…or the world.